This is not just a personal opinion but it is a teaching in magisterial documents.It is the teaching of Scripture, Tradition and the past Magisterium. 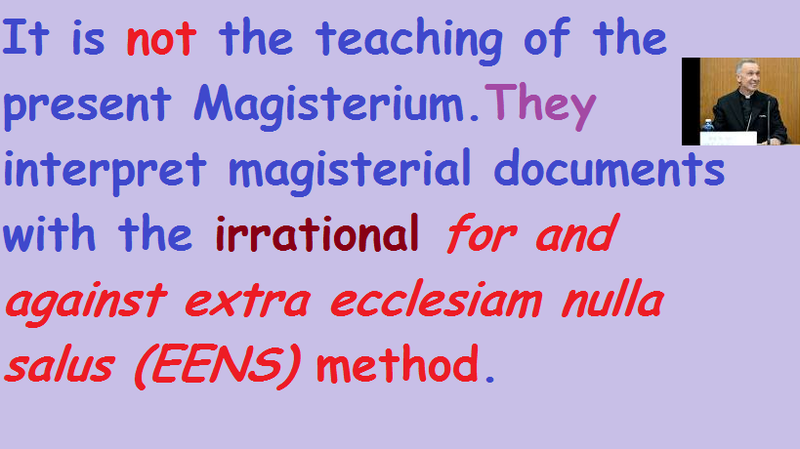 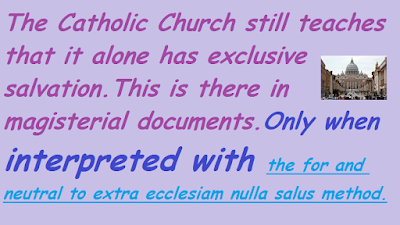 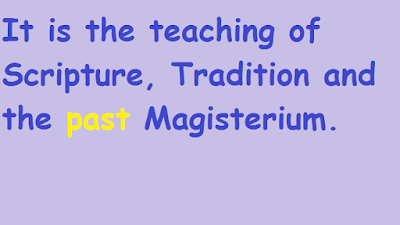 It is not the teaching of the present Magisterium since they interpret magisterial documents with the irrational for and against extra ecclesiam nulla salus(EENS) method. 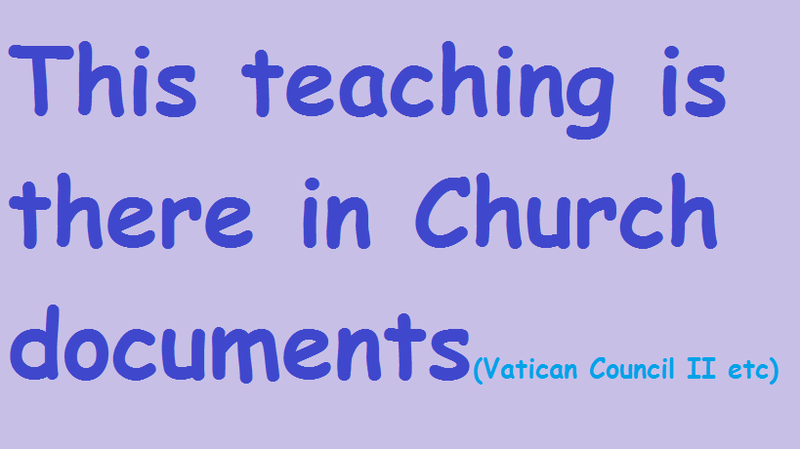 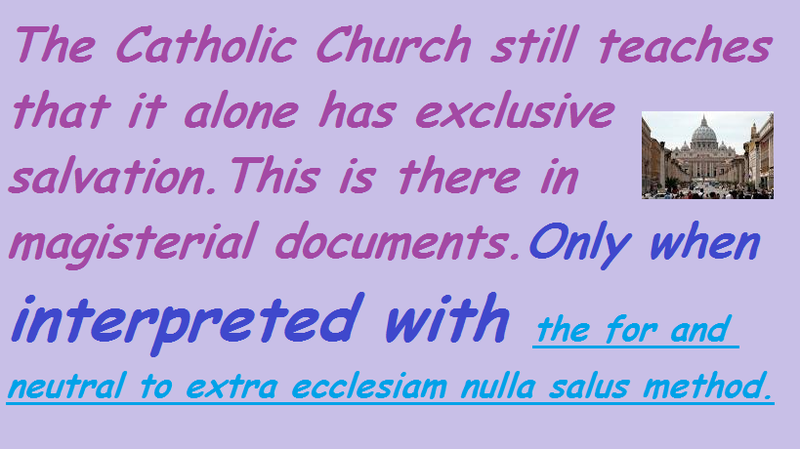 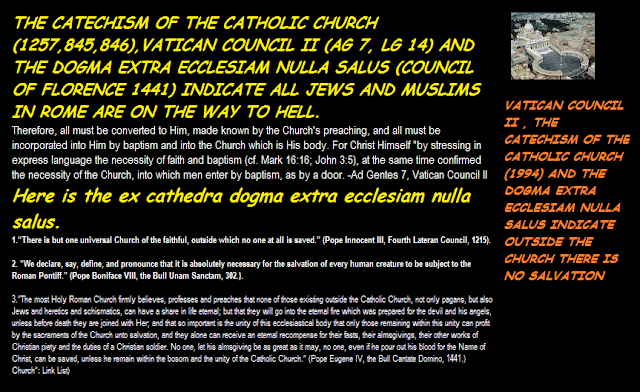 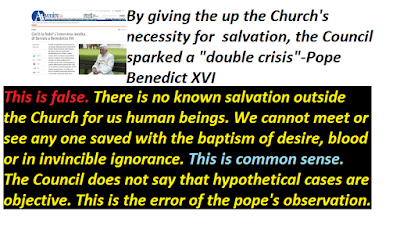 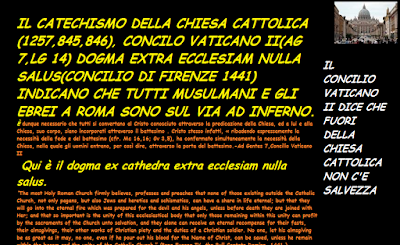 The Congregation for the Doctrine of the Faith(CDF),Vatican needs to review their error in the Fr. 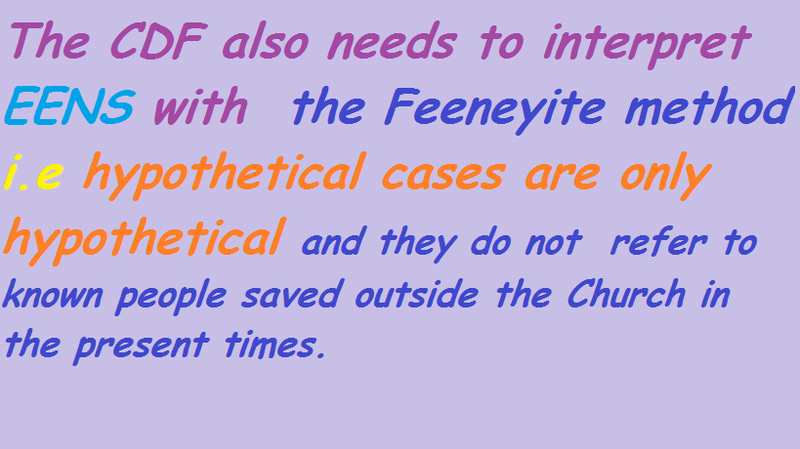 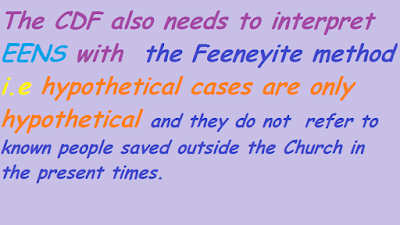 Leonard Feeney case and interpret Vatican Council II and EENS with the for and neutral to EENS method or Feeneyite method i.e hypothetical cases are only hypothetical.They do not refer to known people saved outside the Church in the present times. 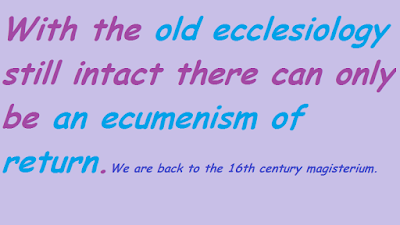 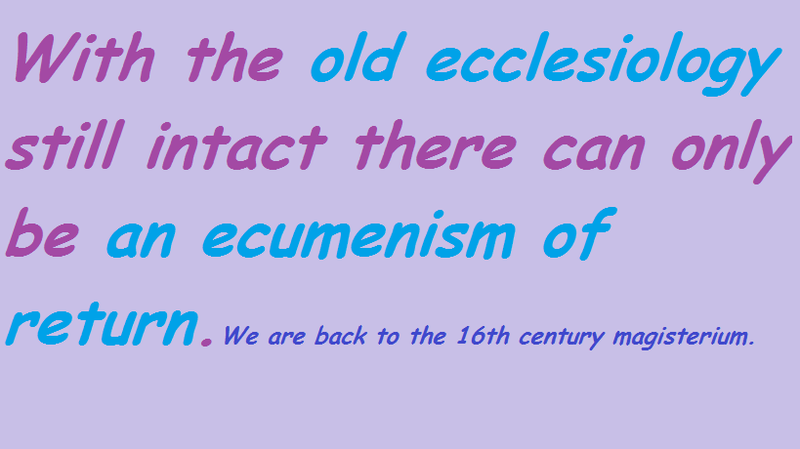 Then the Catholic Church will return to the past ecclesiology.In the old ecclesiology there can only be an ecumenism of return and no known salvation outside the Church. 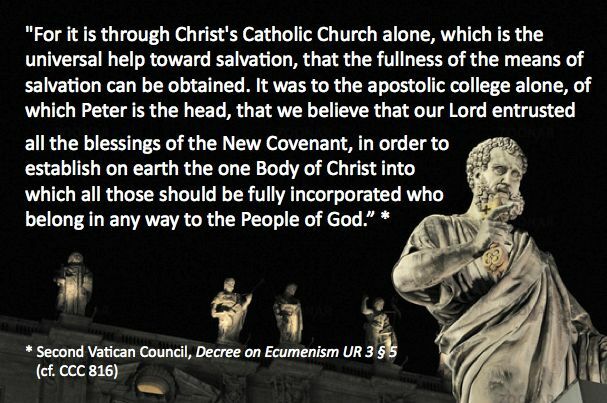 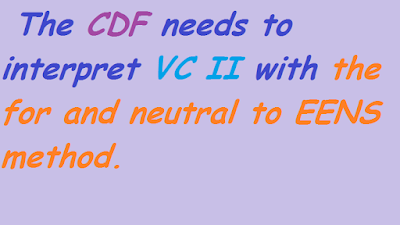 Since outside the Church there is no salvation the CDF needs to proclaim the Social Reign of Christ the King over all political legislation. 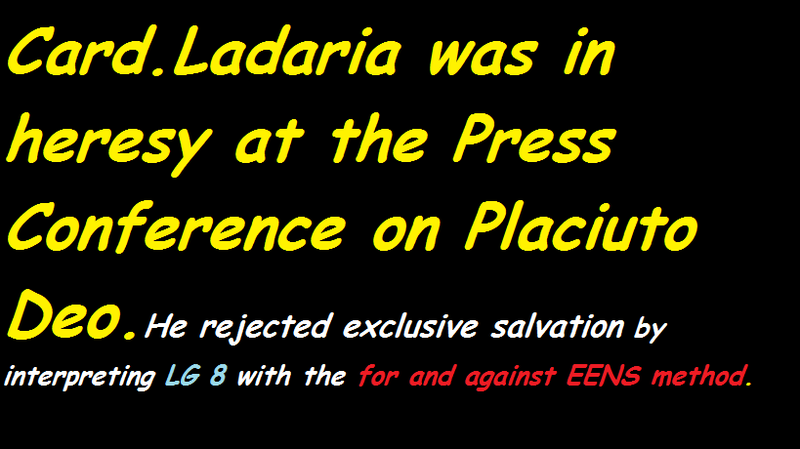 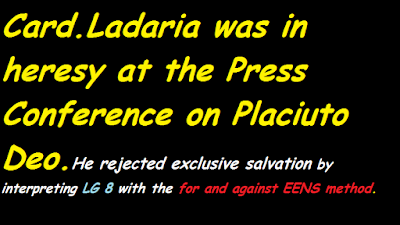 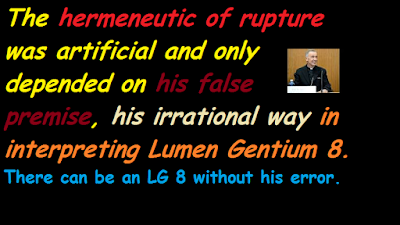 Cardinal Ladaria, the Prefect of the Congregation for the Doctrine of the Faith,was in heresy last Thursday at the Press Conference on Placuit Deo.He rejected exclusive salvation in the Church by interpreting Lumen Gentium 8 with thefor and against EENS method. 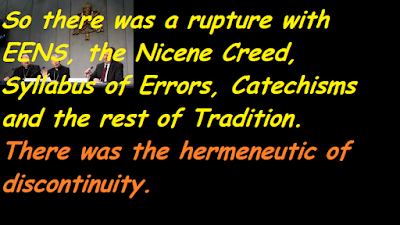 So there was a rupture with traditional EENS, the Nicene Creed and the Catechisms and Church Councils.The rupture was artificial and only depended on his false premise. 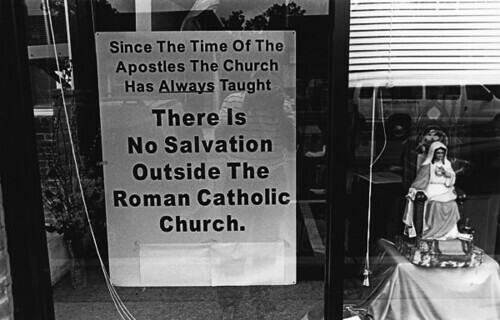 When non Catholics die it will be God alone who can judge. 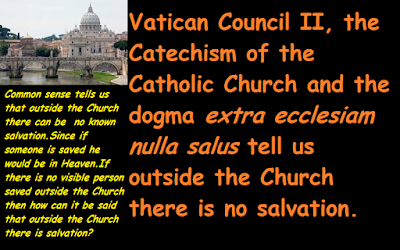 Which does not mean that you can look at a non Catholic and judge that he will not be going to Hell. 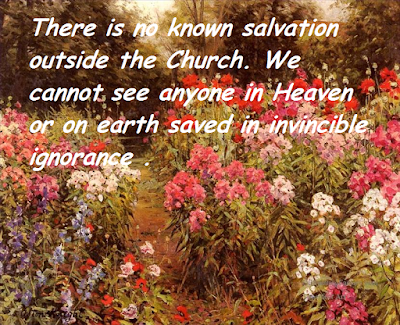 We must remember that we are not the judges of salvation. God is the sole and final judge. 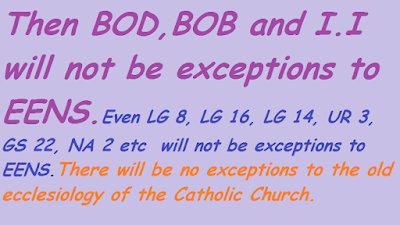 from BOB or BOD and who is not. 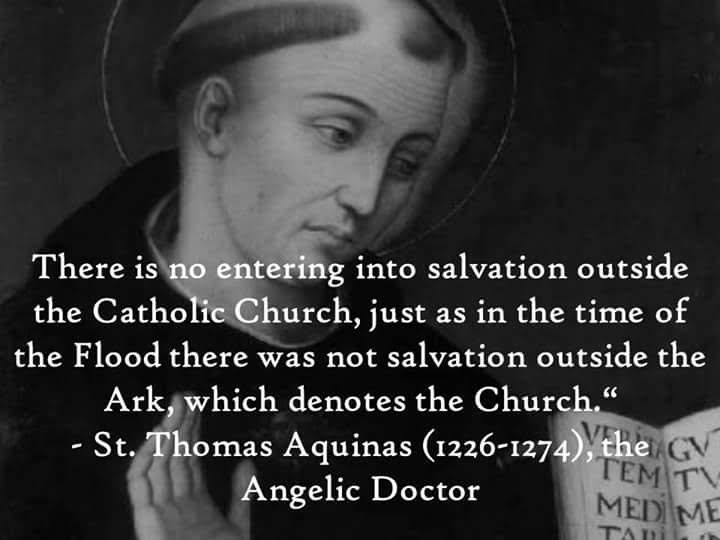 leave the judging to God. 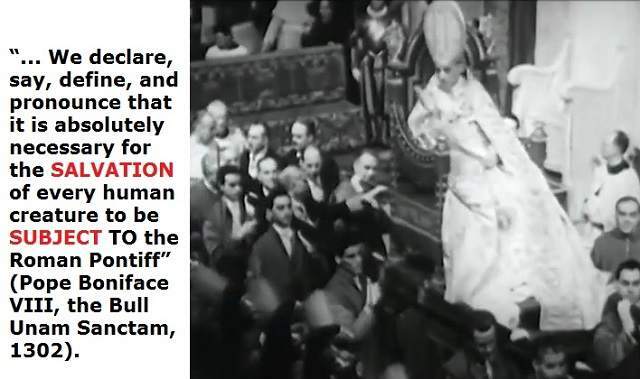 violate it are on the way to Hell. 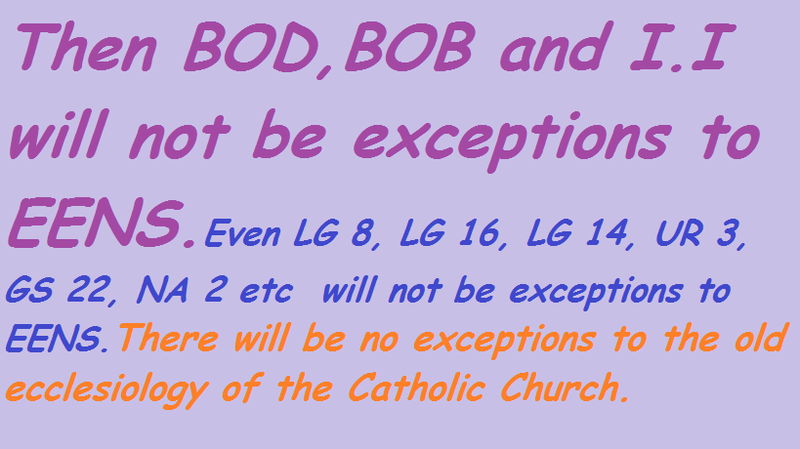 God alone who can judge. Him as they honour the Father. Sorry Lionel, Final judgement belongs to God alone! 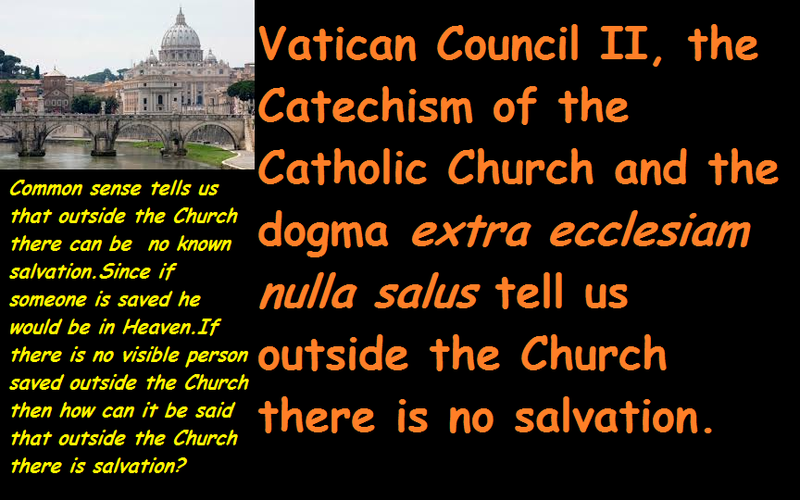 I do believe though that there are ONLY Catholics in Heaven! 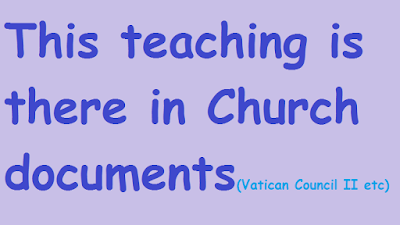 is how God will judge them. 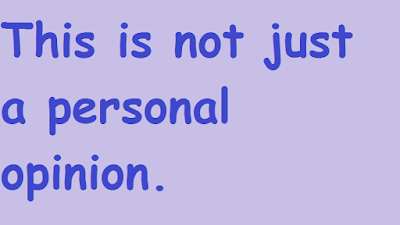 or you can judge otherwise?